Fill large saucepot with water and bring to a boil. Add the pumpkin cubes and boil until soft, about 8 minutes. Drain, transfer to a large bowl and set aside. Spray large pan with the cooking spray. Set the pan over medium heat, add the onion, and cook until lightly browned. Add the onion, spinach and ¼ cup of the cheese to the pumpkin. Transfer the mixture to a large baking dish. Combine the flour and broth in a pan and mix thoroughly. Set the pan over medium heat until the mixture thickens. Pour the broth mixture over the pumpkin mixture and top with the remaining 1/2 cup cheese. Bake at 375 degrees for half an hour. Season with the nutmeg and pepper and serve. This naturally creamy dish will really warm you up on those cool autumn evenings. In a large pan, sauté the onions in the oil for about 20 minutes or until a golden brown, reducing the heat as necessary to avoid burning. Add the pumpkin, bay leaf, and broth to the onions. Season with salt and pepper to taste and continue cooking over low heat for about 15 minutes or until the pumpkin is soft. Remove the bay leaf and transfer the pumpkin mixture to a blender; puree until smooth. Pour over the pasta and garnish with the parsley. 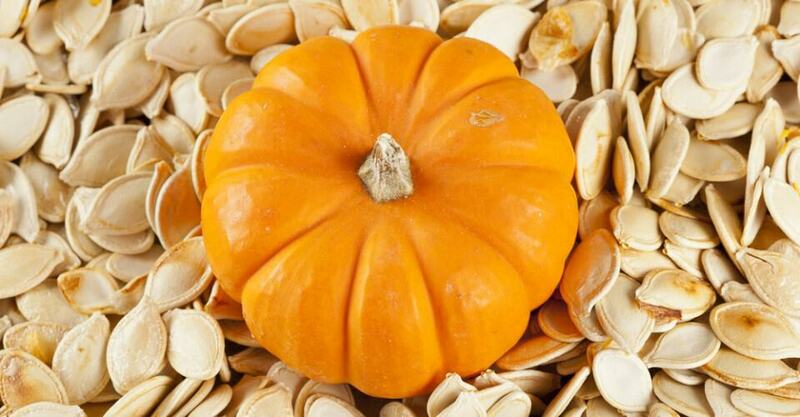 Pumpkin seeds are loaded with protein as well as manganese, magnesium, iron, copper, vitamin K and zinc. (They are often recommended for populations that do not have enough zinc in their diets.) Pumpkin seeds also have plant sterols that can help reduce the risk of heart disease, fight cancer, and have been linked to helping reduce the size of the prostate. And they are a fantastic source of omega-3 essential fatty acids. One ounce has 158 calories, 8.57 grams of protein, 1.7 grams of fiber and almost 25 percent of the recommend daily value for iron. A 1-ounce serving contains 152 mg of magnesium, almost 40 percent of the recommended daily needs. Although symptoms of deficiency are rare, magnesium intake in the United States is below recommended levels and can result in loss of appetite, fatigue, seizures and abnormal heart rates. 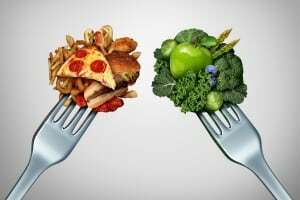 People with poorly controlled diabetes, chronic malabsorptive problems such as Crohn’s disease, older adults and alcoholics are at increased risk for magnesium deficiency. Insufficient magnesium is associated with low calcium and low potassium levels as well. According to a study conducted by the U.S. Department of Agriculture, Agricultural Research Service, and reported in Magnesium Research, there is evidence that even marginal magnesium deficiency impairs exercise performance and amplifies the negative consequences of strenuous exercise (e.g., oxidative stress). Strenuous exercise apparently increases urinary and sweat losses that may increase magnesium requirements by 10 to 20 percent. Pumpkin seeds have also been used against tapeworms. Wash and dry the seeds, then toast them with garlic and onion powder and a bit of salt and pepper in a 300-degree oven for 30 to 40 minutes. A couple of quick facts about pumpkin seeds learned from allrecipes.com: They are most popular in October (of course! ), and during the last 12 months Minnesota and Wisconsin viewed the most pumpkin seed #recipes on allrecipes.com. Combine the pumpkin seeds, olive oil, chili powder, tamari and garlic powder in a resealable 1-gallon plastic bag. Seal the bag and knead to coat the seeds with seasonings. Remove from the bag and spread the coated seeds on a baking sheet in an even layer. Bake in the preheated oven for 15 minutes, then turn the seeds over. Continue baking until lightly toasted and fragrant, about 15 more minutes. Remove from the oven and sprinkle lightly with salt. Cool before serving; store in an airtight container in the refrigerator.